to download a copy of the permission slip, click here. For Instrument Rental prices, click here. For book and supplies that are needed, click here. Important: School does not supply transportation for after school band classes. Welcome to mikeskee.com. I am Mike Slawinski (Mr. Skee), Band Director for Pueblo Elementary, HL Suverkup Elementary, Valley Horizon Elementary, Gary Knox Elementary, Rancho Viejo Elementary Schools, and Gowan Science Academy. 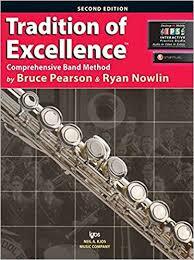 This is the Band Method Book that we use.